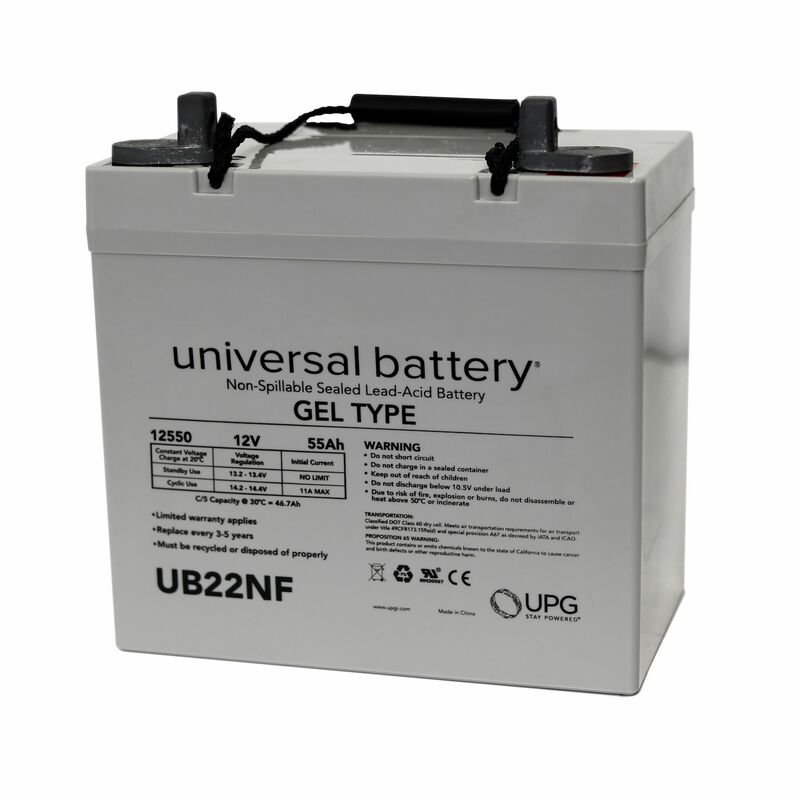 The Universal UB22NF-47605 Gel cell battery is made by UPG (Universal Power Group) in their state of the art facility. This battery is a sealed (Non-Spillable) requires no addition of water during the life of the battery. The Universal Battery UB22NF is a TRUE DEEP CYCLE GEL BATTERY, which can be mounted in any position, requires no maintenance and may be transported by Air or Ground without any special handling regulations. When a Gel Cell battery is charged no hazardous fumes escape the battery case, gases are processed within the battery itself. Do you own the UB22NF-47605? Please, tell us what you think about it. It helps us provide you with better products. Please note that it may take up to 72 hours for your review to appear.